Part 1 was about my idea and my sketching. Part 2 was about my idea of lighting setup. Part 3 was scouting for background images. Part 4 was creating the background in Photoshop as a concept. 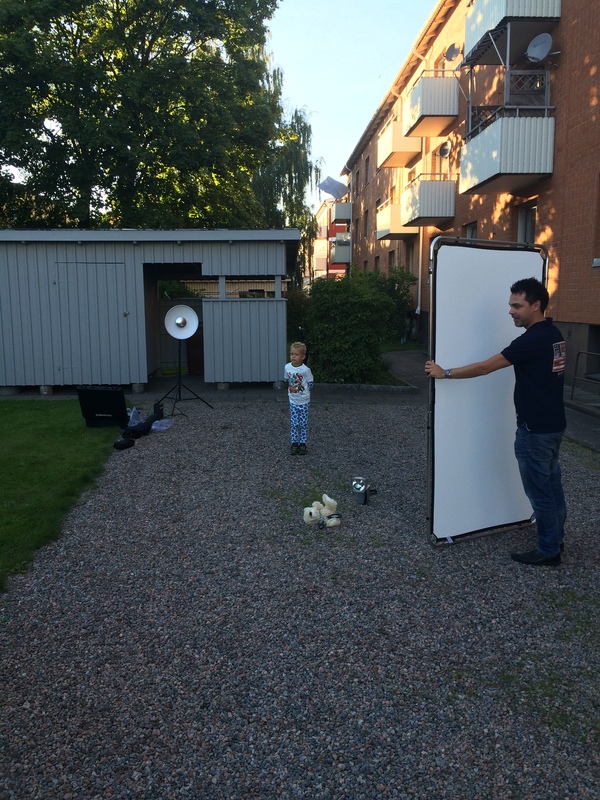 Part 6 was about the photo shoot of the model Leon. And now this final part is about the final compositing process. 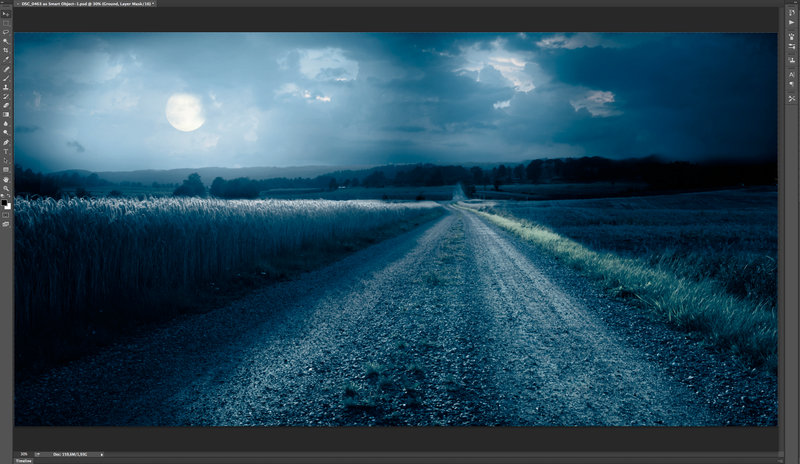 I always start with the background this is almost a must to so I can analyze the lighting condition better. In this case I had the moon as my main light. 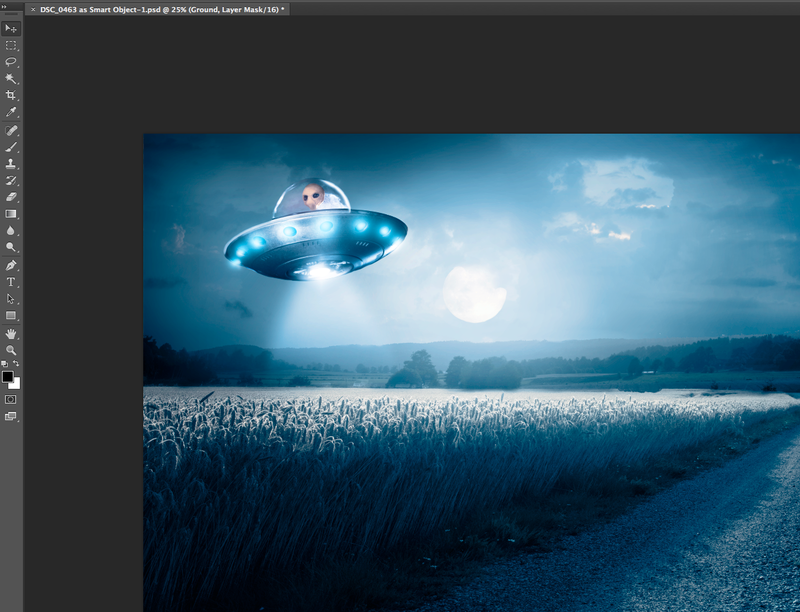 The main light is also important for all elements for the image therefore it was important to decide where the main UFO shall be located so I could shoot it with correct lighting. 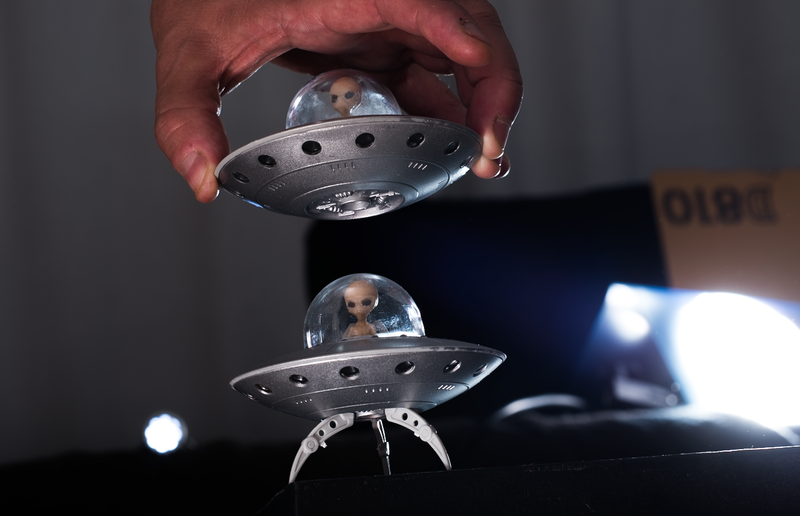 So I created a studio at home, took some images and added the UFO to the background as a prof of concept for the lightning conditions. Then it was time to add the boy to the image. 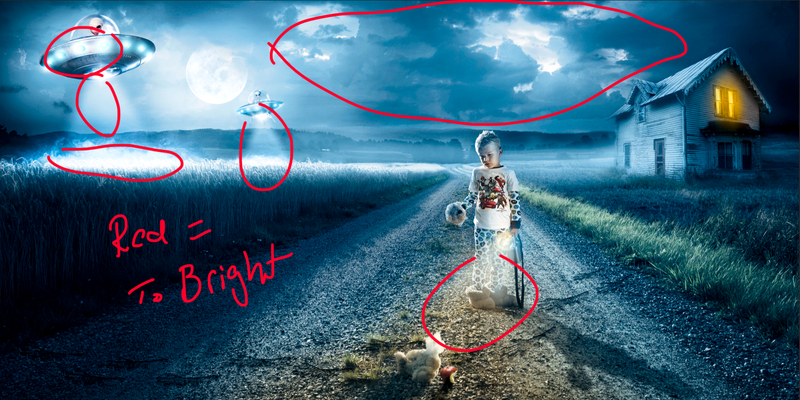 When I took the photography of the boy I put the main light source at the same location as the moon and Marcus Person my assistant used a white reflector to reflect some fill light. 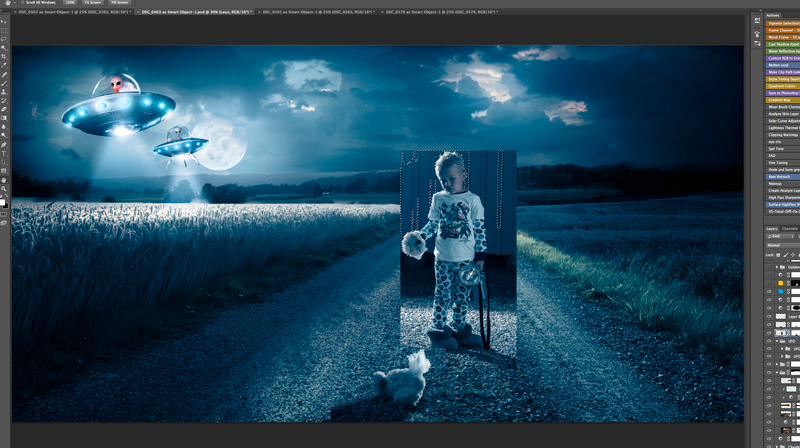 When the boy was added to the image I start to add motivated lights to the image. Motivated light is light you add extra to increase the effect of lights to the image. In this case the lamp. I moved around the second UFO several times to find out where I want to put it to the story. That’s why you can see it all over the place in all my images under my process. I also added some footsteps and a red apple to increase the story telling of the image. It was also important to add the correct light condition for the house and the light in the window as intended from the beginning. When all the elements are added to the image I analyze it with the golden rules. I always do this as my last step before getting feedback from friends. It’s important to add elements within the golden rules lines and points. You can here see the rules and I also added some comments to show you how I think when working with them to increase the story telling. As soon I was done I sent the image to friends and uploaded it to Facebook, 500px, Instagram and Twitter. Sadly as usual I found some flaws in my image and corrected it for this blog post. Most of the feedbacks was regarding to bright lights. So I fixed that. I hope you liked this story and got some ideas your self.